Hello/Bonjour/Hola! the CEO Of The Month Badge is the newest addition to the MimiMerchandise Hall of Fame. Have a nice day!! The CEO of the Month is very friendly! Hello! 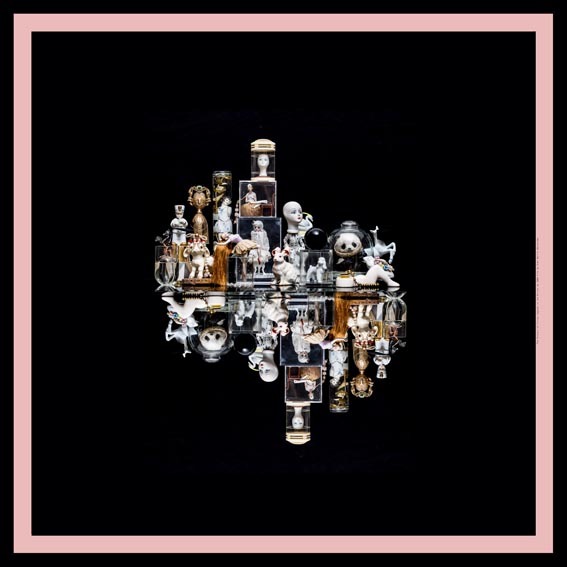 CEO of the Month badge. NEW in Store!!! The ‘CEO Of The Month Badge’ is Super Large and colorful! ø 10cm with old-school metal back!!! See our Friendly MimiMalist Conference Badge HERE. It’s Super Large and beige! Meeting and introducing yourself to others has never been this easy or stylish. The ‘MimiMalist Hello Badge’ is Super Large and beige! ø 10cm with an old-school metal back!!! 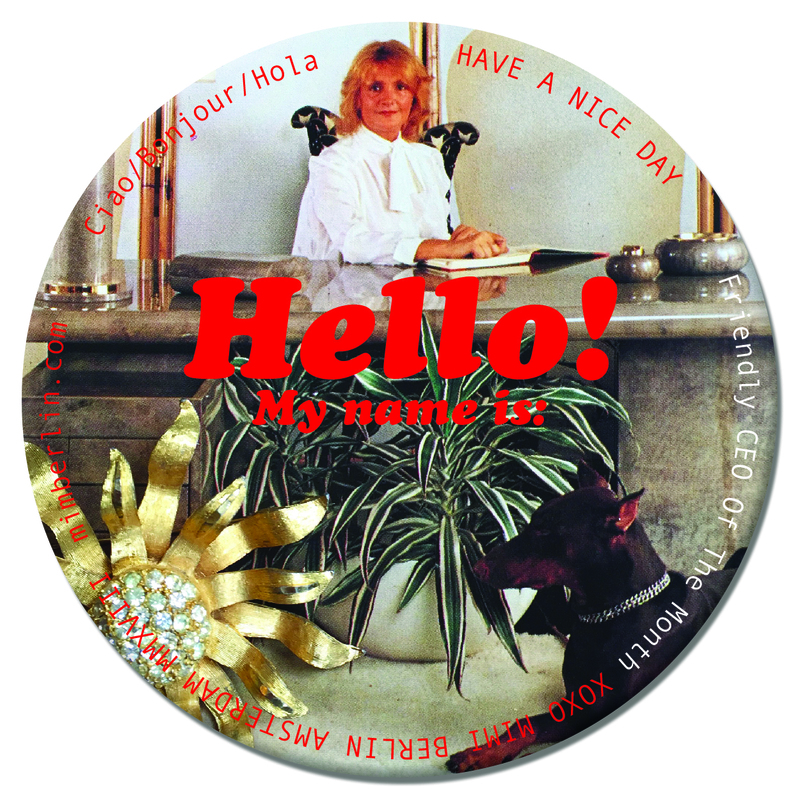 You can order your MimiMalist Hello Badge for only €3,50 a piece !!! 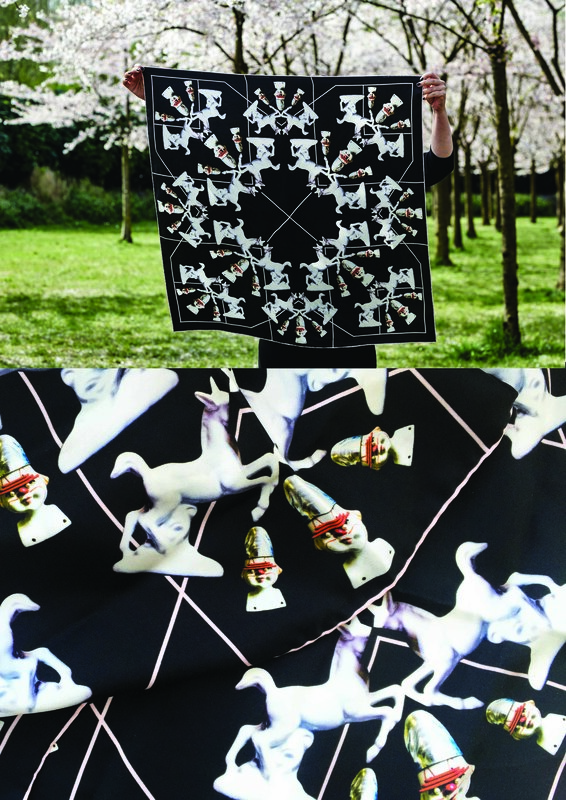 Silk scarf Stallion, designed by Mimi Berlin, inspired by The History of Circus Legends series of statuettes. 90 x 90 cm digitally printed on 100% silk twill with a hand rolled seam. If you don’t feel comfortable ordering online you can also purchase this scarf at the X-Bank, Spuistraat 126 in Amsterdam. If you are, please fill in the form below and we’ll contact you.